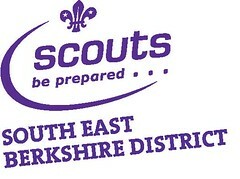 The South East Berkshire District Scout Council looks after the provision of Scouting in our area and ensures that we meet the required standards laid down by the The Scout Association nationally. We ensure that leaders are properly checked and trained and we provide support to the Groups to help them develop and provide a broader set of activities than they might be able to provide on their own. The District is led by Steve Richards, our District Commissioner supported by Derek Salter, Deputy District Commissioner. In addition to the people above the District Executive team includes a Chairman, Secretary, Treasurer and other appointed members. This team meets regularly to review the provision of Scouting in this area. We work closely with our neighbouring District South Berkshire. The two Districts jointly run Earleywood Scout Centre and Campsite and every year we also work with the Guides to stage the Gang Show at the Wilde Theatre. The number of people taking part in Scouting in South East Berkshire as members is tracked every year through our Census.